As you visit towns, please post your stories and photos so other Rotary Clubs can get some ideas! 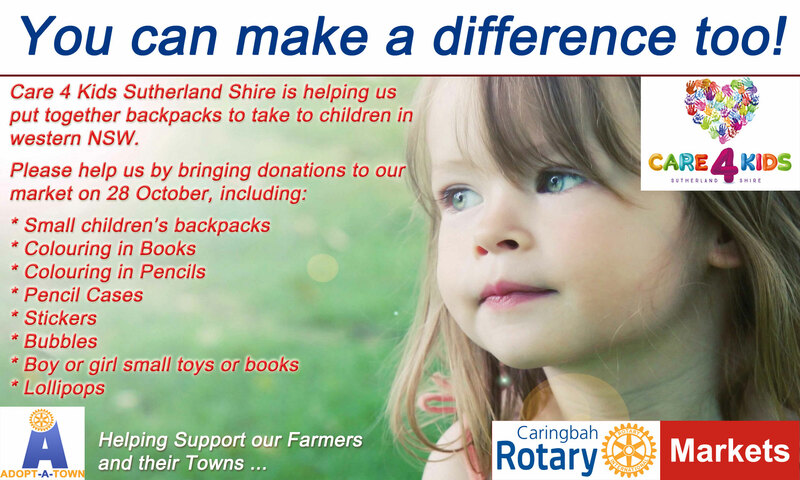 On Sunday 18 November a free BBQ Breakfast is being arranged by Blayney Rotary with Caringbah Rotary at their Farmers'Market. There will be a Jumping Castle, Sample Bags for the kids and free Face Painting!